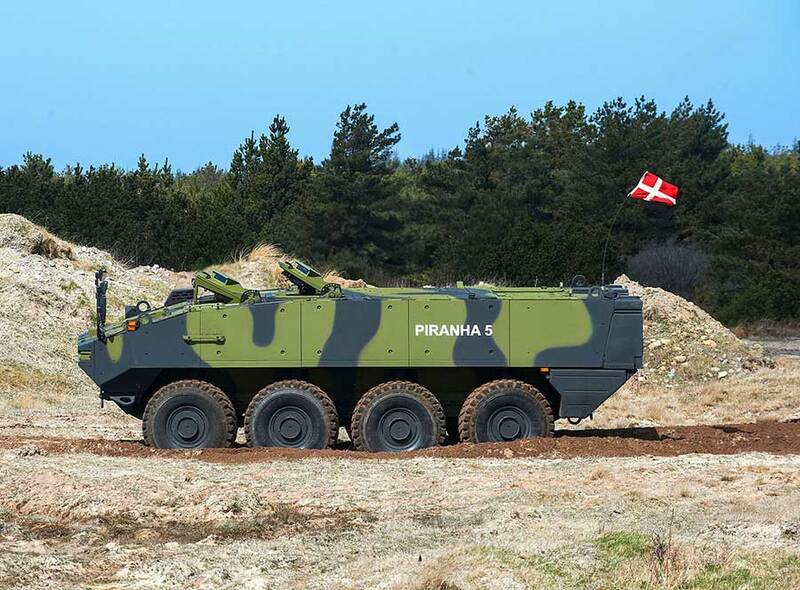 COPENHAGEN, Denmark (BulgarianMilitary.com) – The Danish army received the first in a new generation of wheeled armored vehicles at a March 27 ceremony attended by Denmark’s minister of Defence, chief of Defence, chief of the Defence Acquisition and Logistics Organization (DALO), and chief of the Army, learned BulgarianMilitary.com, quoting Army Recognition. After vehicles have already been delivered to DALO in 2018, the event marks the transition of the vehicles into operational use. GDELS signed a contract with DALO at the end of 2015 to deliver 309 Piranha 8×8 Armored Personnel Carriers in six variants: infantry, command, ambulance, engineer, mortar, and repair. Two years later, DALO awarded GDELS a framework supply contract for the delivery of multiple variants of the new Eagle 4×4 vehicle. The first batch of 36 vehicles was in the Armored Patrol Vehicle configuration. Both contracts are complemented by multi-year framework agreement for general postproduction support and services.